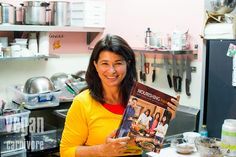 “I’m just a good Jewish girl!” says renowned creator of all things vegan and kosher, Gigi Cohen, while preparing a traditional and completely vegan Christmas feast for a call center that employs over 400 staff. And Vegan Carnivore was there to cover it all. Our host Jason Rockman, a big fan of wholesome vegan foods and simulated meat, reacts in near disbelief as if he saw Santa himself upon sampling the vegan turkey shavings that Gigi was preparing for the upcoming Xmas chowdown. And it was love at first site from then on, as we followed Gigi from the kitchen into the serving hall to get a glimpse of the first of many vegan company lunches that will happen in 2013 and beyond. 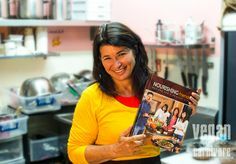 We talk with Gigi about her NDG-based vegan takeout cafe, www.cafejuicylotus.com, and her recent fundraising cookbook www.nourishingfriends.com, which is receiving rave reviews both in Montreal and beyond. Enjoy this glimpse into the world of Vegan Carnivore and its closest friends, and keep checking back every month for new cool events and companies that we’ll be featuring.